Ever since interning at Quack.com, I've been a sucker for duck-themed goofiness. 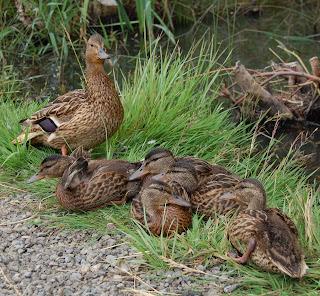 Here's a happy family of mallards on the University of Washington east campus. Mum's none too pleased about me approaching to take a picture.